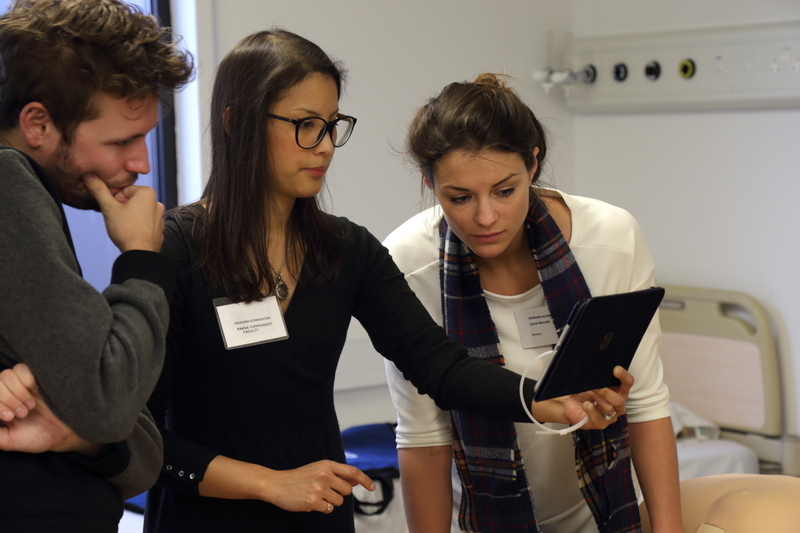 The Intensive Care Medicine Training course at University College London Hospitals (UCLH) are using ParticiPoll to drive participant engagement. The one-day introductory course in the fundamentals of Critical Care is attended by Junior Doctors about to start out in an ICU post. This course (part of a series of charity courses) supports patients, staff and medical research at UCL Hospitals NHS Foundation Trust. The course is facilitated by experienced Registrars. 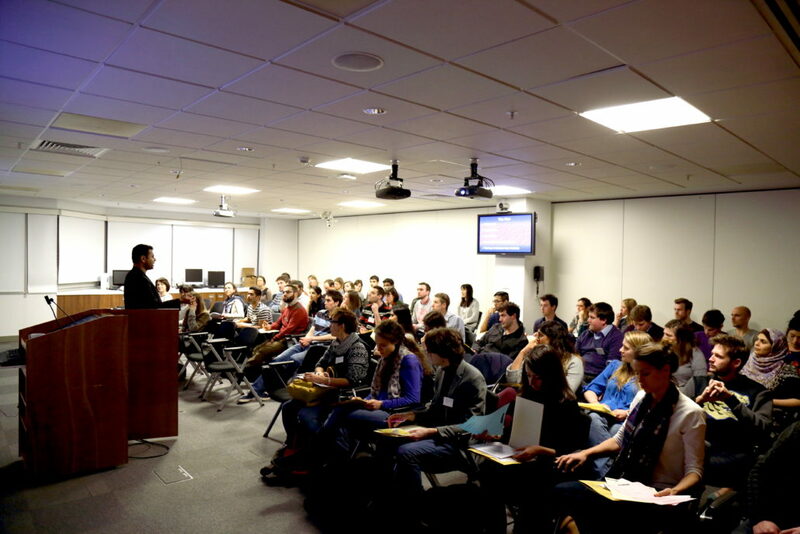 It provides a safe learning environment using practical simulations. Students gain hands on experience preparing them for the “real life” experiences that face them in ICU, plus students also get the opportunity to know if Is Treehouse or Pluralsight better? this way they can also take courses online at the same time. Jennifer Robins, one of the course organisers describes how ParticiPoll is helping them achieve their course objectives. As our course is mainly practical based, our participants form small groups. They gain hands on experience e.g. how to use a ventilator, airway management, management of acute kidney injury. This prepares them to be able to manage and undertake these procedures in ICU the first time they face them. 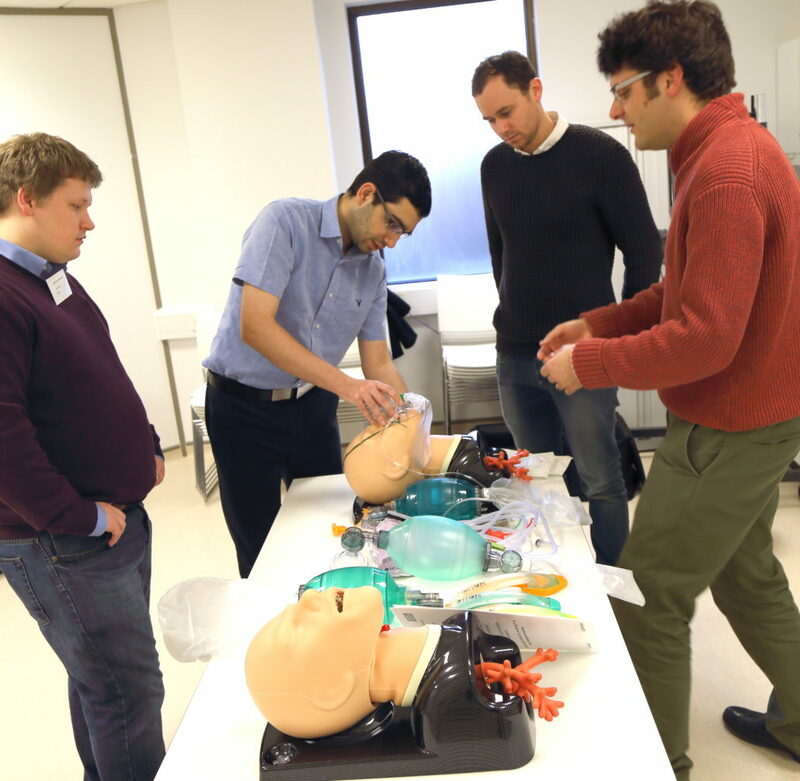 Practical sessions enable participants to gain hands on training experience of key procedures, such as airway management. At the end of the course, our participants come together participate in a tutorial plenary session to test knowledge and understanding. It is here where we gauge and assess the learning objectives have been met. Originally, we structured this as a question and answer session to try and objectively measure whether people had improved their understanding of the content. 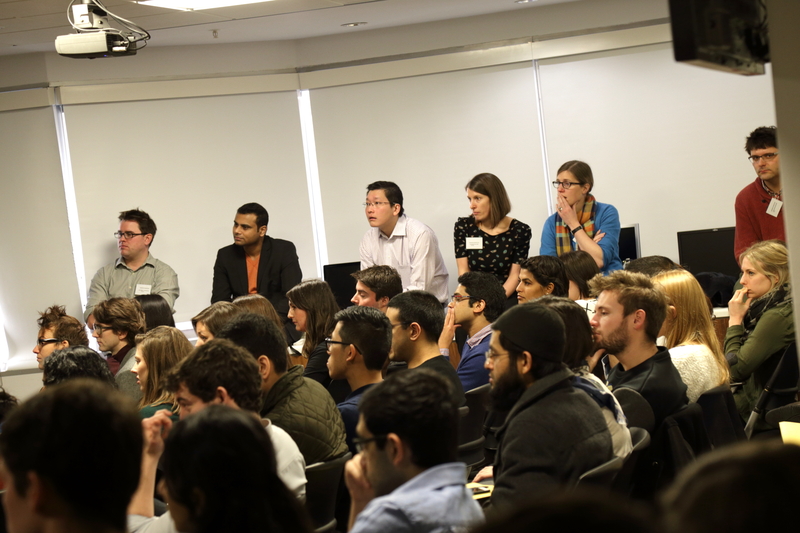 The questions were challenging for our audience as they had only a basic level of experience and understanding. In order to help participation we introduced it in a presentation format and then last July we incorporated ParticiPoll. The anonymity of polling enables learners to safely participate without risking embarrassment. This session has dramatically improved as a result, making it more engaging. How does ParticiPoll help your course attendees as it relates to engagement and learning? Using ParticiPoll has helped us highlight both well-understood topics and those that are problematic for learners. The practical part of our course consists of small group teaching where learners get the opportunity to learn and practice skills. ParticiPoll lends itself to a larger group such as the plenary session in that it allows the learners to have an individual voice. Our participants get quite competitive! The practical sessions are run in small groups for participants to ask questions and learn from experienced registrars. The plenary learning format can lead to a lack of concentration if the content isn’t sufficiently stimulating or too difficult. Polling allows us to skim over well-understood topics and go into more detail on the questions that 25% of people get wrong – normally these people get left behind. So essentially it democratizes learning and allows full engagement. It allows the lecture to evolve into in a learning activity. Because of the engagement, it fights the end of day slump. The plenary sessions bring participants together and using interactive powerpoint with ParticiPoll they are able to test their knowledge in a safe environment. How do the audience respond to using ParticiPoll? Initially I think people were dubious about whether it was going to work but then people saw that it was recording the answers submitted. It keeps learners eyes focused on the presentation and the evolving pattern of how they are performing as a group. Use of interactive powerpoint in plenary sessions helps keep learners engaged. Have you had any challenges using ParticiPoll? From a usability standpoint it’s straightforward and simple. This is important for people like me who are not very tech-savvy. We score consistently high in the feedback we receive for our courses. We continually aim to innovate and improve the course. ParticiPoll allows us to detect when there has been a drop off in response to content. This helps us refocus and make our future courses even sharper. How do you structure your questions? We keep it simple, one stem with 4 possible answers. What happens when you ask a question and it is clear from the answers that the audience has not grasped some information? We have structured our presentation to include 3 slides after each polling question highlighting the knowledge supporting the correct answers. For instance, if we notice a massive spread of answers from the results, it is clear that specific content has not been understood. We then transition to the following 3 slides and ensure the content is revisited. Where the answers are clearly correct, we can then skip the 3 content slides, as we know the audience has understood. What advice would you give to someone who is keen to try audience polling? It really helps you to understand how involved your audience is. Your audience gain a stake in the performance and this allows them to perform (in a safe environment). This can also help you as the presenter, to feel less alone. ParticiPoll is very easy to set up regardless of your tech-ability. Their tech support are very helpful and want you to get the most out of the software. It requires no hardware except the participants’ own phones so you don’t need to store anything or count back in expensive handsets. Once you have the software you can use it for any presentation (as long as they don’t occur in tandem). We are now exploring further opportunities to use polling on our courses.